Belonging to the genus Tursiops, Bottlenose dolphins are the most common and most famous members of the family, Delphinidae (oceanic dolphins). They live in warm and temperate seas worldwide. 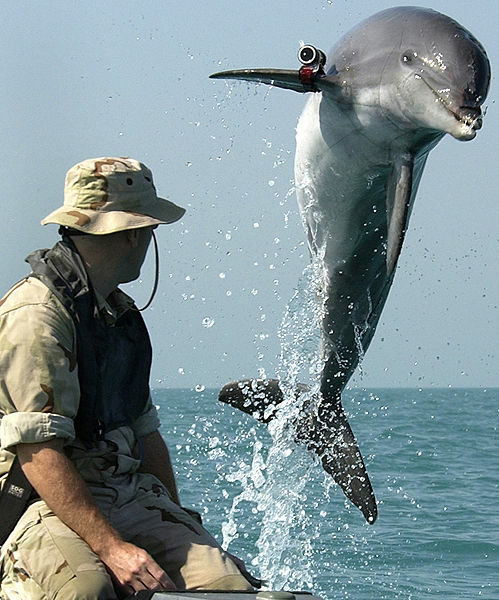 There are a few member species of the genus Tursiops. Molecular genetics has provided insight into the genus Tursiops. There is a general concensus that there are 2 member species, and these are the common bottlenose dolphin and the Indo-Pacific bottlenose dolphin. However, there are some sub-species that are sometimes recognised that belong to the Indo-Pacific bottlenose dolphin. This includes the Pacific bottlenose dolphin and the Black Sea bottlenose dolphin. As those name suggests, the Indo-Pacific bottlenose dolphin can be found in the Indian and Pacific waters, the Pacific bottlenose dolphin lives in the Pacific, and the Black Sea bottlenose dolphin lives in the Black Sea. Bottlenose dolphins are generally grey in colour. However, these shades of grey very as they are dark grey at the top near their dorsal fin, and they are almost white on their underside. 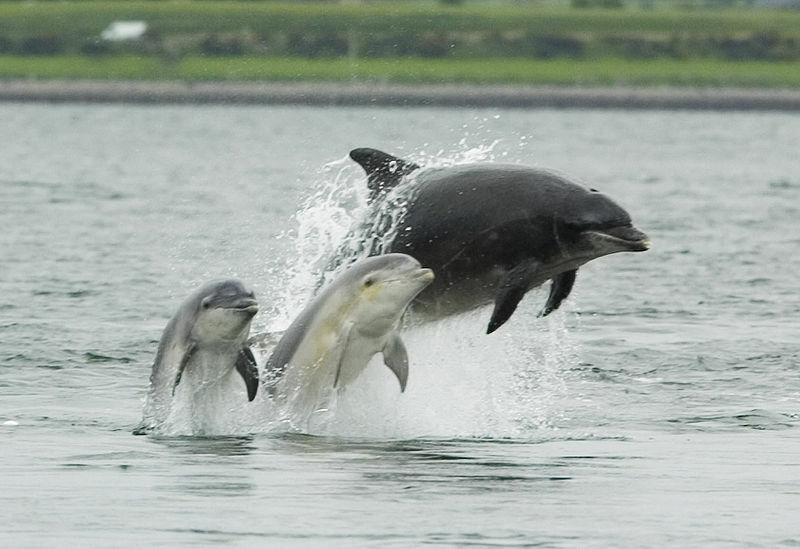 Adult bottlenose dolphins are around 2 – 4 metres long and weigh about 150 – 650 kg. Males are just slightly longer and heavier than females. These animals can live up to 40 years old, but a study of a population in Sarasota, Florida, indicated that the average lifespan of bottlenose dolphins were actually 20 years or less. 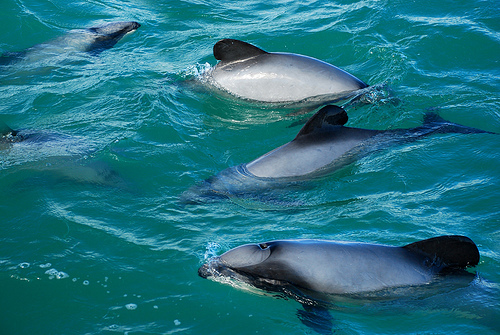 These dolphins live in groups or pods, which usually consists of 10 to 30 members. However, group size can range from as low as 1 to as much as 1,000+. Their diet consists of forage fish, and they will often work in teams to harvest fishing schools. However, they can also hunt as individuals. They will hunt for their prey using echolocation which is similar to sonar. Bottlenose dolphins are one of the most intelligent mammals in the world. Intelligence studies on these animals have been conducted, and their high intelligence creates for great interaction with humans. They have been featured in aquarium shows as well as TV programs. They have also been trained by the military to locate sea mines, or mark and detect enemy divers. In some areas, these bottlenose dolphins will actually cooperate with local fishermen by driving fish into their nets and eating fish that escape from these nets. However, there are some actions that humans do which are harmful to these creatures, such as hunting them for food. They are sometimes killed as a bycatch from tuna fishing.